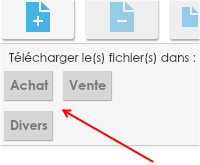 To send your invoices, go to Upload and choose To send in the sub-menu . to select one or more files on your drive. If your accountant has activated the option, you'll have to choose a sub-directory as well. Otherwise, you can directly select your files from the drive. After you have selected your files, if everything goes right, the files will appear in the list. 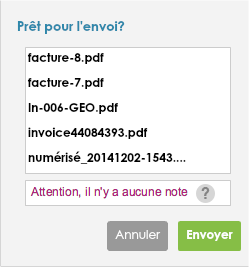 You can now click on Send to confirm the invoices may be sent.